Diets are some of the most common practices that people undergo. The need to lose weight has become first and foremost in many people’s minds due to unhealthy eating habits and lack of exercise that has permeated society. More and more people are overweight or obese. One diet that has gotten a lot of attention over the years is the Atkins diet, invented by physician and cardiologist Robert Atkins, who died in 2003. Atkins created the diet due to his own poor eating habits and weight gain. He went on a restrictive diet that eliminated sugar and starches, and that increased fat and protein. The plan was a success, and from there led him to invent the Atkins diet. 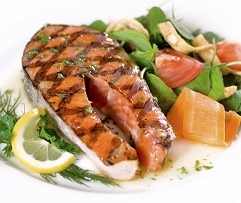 The diet has produced weight loss results for many people, but it continues to remain a controversial diet for critics due to the high levels of fat and protein. So what exactly is the Atkins diet? It is a low-carbohydrate eating plan that has been proven to lead to weight loss by turning fat storage into fuel that in turn burns body fat. It is also unique, because foods such as bacon, normally thought of as contributing to weight gain, is allowed on the diet. Some foods you are allowed to eat are restricted in the beginning. As you progress with the diet, more food choices can be introduced. 1. What Is Allowed and Not Allowed on the Beginnings of the Atkins Diet? In the beginning, the diet allows you to eat no more than 20 grams of carbohydrates per day, with most of those coming from vegetables. You get your protein from red meat, fish, poultry, eggs, and butter, for examples. Examples of foods that a person on the Atkins diet is not allowed to eat in the beginning are bread, pasta, fruit, nuts, seeds, and caffeine. After a person has progressed with the diet more carbs and more fruit can be introduced. After a person completes the diet, they may then return to normal eating by keeping in mind the tips they have learned on the diet. 2. What Are The Advantages of the Atkins Diet? Unlike with some diets, with Atkins there are no meal packages to buy and to have delivered to your home. There are also no weekly meetings to attend. 3. What Are The Disadvantages of the Atkins Diet? Ketones, what are released when the body burns fat for fuel, are released with this diet. As a result, you may notice a bad breath smell, and you may also have headaches. Also, you’re cutting out a lot of food groups, particularly in the beginning of the diet, and, therefore, you may not be getting all of the nutrition that you need. One of the biggest criticisms of the diet has been the reliance on animal proteins, like red meat, to lose weight. There are many studies that suggest that eating large amounts of red meat is harmful to one’s health. However, based on this criticism, newer versions of the diet have focused on getting protein from healthier sources, such as olive oil and lentils. People with certain health conditions should not go on the Atkins diet. For example, if you have diabetes, high blood pressure or high cholesterol, you’ll want to avoid a high protein diet such as Atkins. 4. Do You Need to Exercise? As with most diets, the Atkins diet recommends at least 30 minutes of exercise per day. Something as simple as a 30-minute walk counts as exercise. 5. What Should You Do Before You Start Atkins? Diets are so popular that they are advertised all the time, especially on TV. You may be tempted to jump into a diet right away, but that is never recommended. Your doctor should evaluate your condition and determine that you are the right candidate for the Atkins diet. As indicated above, if you are suffering from a serious medical condition, such as diabetes, the Atkins plan may not be for you. If you have weight to lose, the Atkins diet may be a plan that will help you lose those unwanted pounds. Consult a doctor first, and then follow the steps to accomplish weight loss on the Atkins plan. For more explanations about the Atkins diet you can also check the video below. hi I’m really suffering with the diets that I’ve tryed doing but I jst end up forgetting or starve more.right now I want to go on a 7day diet I’m really desperate to loose atleast 30lbs of weight.is there anything thing you can help with,any advices or diet tips as long as it doesn’t have anything to do with excersizing …….